« Thank you from all of us! 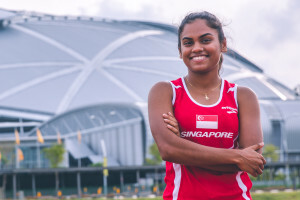 Singapore Athletics: Our dreams for the next big 50! 7 August 2015 – This tiny red dot has come a long way since 1965. When we head out for overseas competitions and fellow athletes and officials find out where we are from, the most common response is no longer; where is that? But more of wow! Singapore has grown as to become the vibrant country we call home, only because we have worked as one and made the impossible dream become reality. 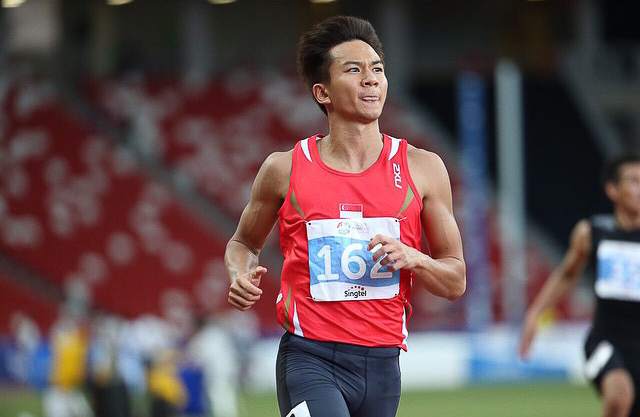 So while we were penning our thoughts on our best memories for this special weekend #SG50, we thought for awhile and wondered, what will the next 50 years be like for Singapore athletics and sports in general? Well, instead of just wishing our wonderful country a big Happy Birthday, we decided to share our vision and dreams for the next big 50. You ready? Let’s go! Mr Tang Weng Fei, President, Singapore Athletics. It is a wonderful time to be in Singapore. With all the celebrations taking place across the country, you see video montages and people of all ages hanging their flags outside their houses, getting ready for a very special National Day Parade. 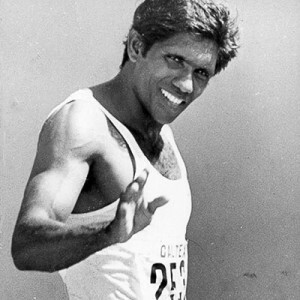 If you ask me what I wish to see in athletics for the next 50 years, two things come to mind. Firstly, I wish to see a cohesive sporting landscape where all National Sports Associations (NSA) have proper organisation with a structured pathway for elite athletics development. Secondly, as a Singaporean, it will be fantastic if we can urge our compatriots to take up athletics as a lifestyle for all ages. With this happening, we can become an even healthier and happy nation. Mr C. Kunalan, Vice President of Training and Selection, Singapore Athletics. Proud to be Singaporean and will always be. In the next 50 years, I would love to see advances in technology in sports made available to all athletes in a safe and proper way. It will also be great if our athletes have access to scientific supplements. Why do I say this? Because sports at the highest level is entertainment. Super athletes will give spectators super entertainment! And to my fellow Singaporeans, always find reasons to be happy in all seasons. It doesn’t take much to smile, so do it more often! Happy Birthday to our lovely Singapore! I think the most treasurable feeling I have ever felt was the feeling that I have made my country proud. It’s a feeling I am unable to describe because it basically fills me up with so much emotion. I am honored to represent my nation and make it the little red dot that shouldn’t be messed with. I want to see the future generation represent the nation and get the chance to feel what I have, the true honor of representing the nation doing something they truly love and are passionate about. It is definitely a memory that they will never ever forget. With that, I want to wish Singapore a golden Happy Birthday! The past 50 years has seen a tremendous amount of extraordinary memories, and I cannot wait to see what the next 50 years has in store for us! Like the song says, Singapore will always be where I feel that I am home. Looking ahead, I hope to see a vibrant active sporting lifestyle in Singaporeans that creates opportunities through athletic initiated carnivals, sports fiestas for all ages in the midst of high level competition to reproduce the Singapore spirit and Kallang wave at the Track & Field series. I hope to witness national records being broken and qualifiers for the World Championships & the Olympic Games to bring Singapore Athletics into the world stage with a chance to beat the best in the world and of course, free of any doping cases to maintain excellence, friendship & respect! All in all, here’s wishing Singapore a blessed 50th birthday and MAJULAH SINGAPURA! What I would like to see in the next 50 years for Singapore Athletics is the continued support and encouragement from fellow Singaporeans. 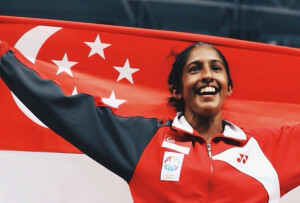 I remember being deeply touched during the SEA Games when I saw so many Singaporeans coming down to support us during our races, and I truly hope that this is just the beginning. My dream for Singapore Athletics is for it to be in a pre-eminent position in the Asian level and eventually in a global level. For this tiny red dot, that would indeed be a dream achievement to strive for. I would like to wish Singapore a wonderful 50th birthday, and here’s wishing a happier, healthier, wealthier, greener and a closely knit Singapore over the next 50 years! So with that said, the Singapore Athletics family would like to wish our fellow Singaporeans, a very Happy Birthday and to the next 50, let’s begin!